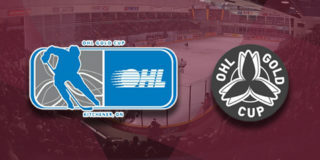 It was a redeeming 5-3 win for the Peterborough Petes in Kingston on Friday night, having fallen to the same east division rivals in enemy territory just a week earlier. Kingston would open the game’s scoring when Billy Constantinou skated back to retrieve the puck behind his netminder, Brendan Bonello, before making his way down the ice. He weaved through the neutral zone and, using Petes defencemen as a screen, sent a low wrist shot past Tye Austin on his blocker side to give the black and gold a 1-0 lead at 8:45. The Petes earned their first man advantage of the night, but it was the Frontenacs who would benefit. After winning the draw in Kingston’s end, the maroon and white couldn’t keep the puck in at the blue line. Ryan Cranford and Tyler Burnie went in on shorthanded two-on-one rush, with Burnie feeding Cranford as the Frontenacs took a 2-0 lead mid-way through the period. With less than two seconds remaining in the first, Peterborough would finally get on the board. Nick Robertson buried his thirteenth of his shortened campaign with help from Adam Timleck. Although trailing on the score clock, the Petes produced a handful more shots than their opponents in the first 20 minutes. Much like the first, the middle frame was filled with penalties, leading to quality chances for both clubs. It was former Pete Adrien Beraldo, who was acquired by Kingston on December 28, that extended his team’s lead to 3-1 at 5:17. His third goal in as many games for the Frontenacs, Beraldo faked a shot just inside the blue line before sending a low wrist shot past Austin from the slot. Peterborough was back within one abruptly, just 43 seconds later. 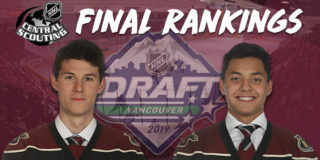 Arizona Coyotes prospect Liam Kirk netted his thirteenth of the season off a rush with Brady Hinz at the 6:00 minute mark, cutting Kingston’s lead to 3-2. After taking a backhand pass from Nick Isaacson, Cole Fraser blasted the puck to a stationed Erik Cermak at 15:49 to tie the game at 3. At this point the Liftlock Lads were dominating the shot clock, nearly doubling the output of their opponents through 40 minutes. 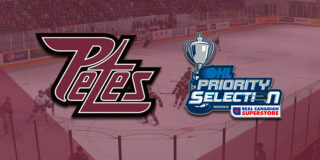 The thematic extracurriculars continued in the final period, and on their eighth attempt of the game, the Petes finally connected on the mana advantage. Detroit Red Wings prospect Zach Gallant netted his second goal in as many games and nights, finishing off a power play plan from Timleck and Robertson at 7:59. With Bonello on Kingston’s bench to add the extra attacker, Max Grondin, assisted by Kirk and Austin Osmanski, sealed Peterborough’s 5-3 victory with an empty net marker. Final shots were 40-29 for the Petes. Austin turned away 26 shots in his second OHL win. Gallant, Burnie, and Timleck were named the game’s first, second, and third stars. 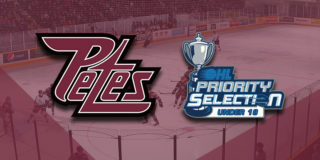 The Petes wrap up the weekend in Mississauga on Sunday, January 6 at 2:00pm. They’re back on PMC ice for a three-game homestand, starting with the rival Oshawa Generals at on Thursday, January 10th at 7:05pm.